I was absolutely delighted to receive the drawing above from a reader - the very talented Mr. Max Wardle (age 7)! 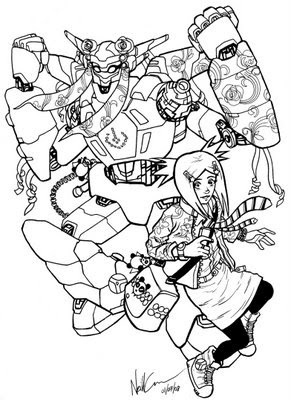 This totally reminds me of the drawings I would make after reading a new issue of Transformers when I was a kid... and look how that worked out. 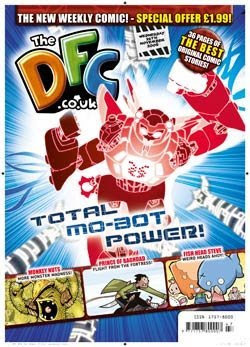 He's got it all in there - Asha, the DMC pictograms, and a BIG BLUE MO-BOT and everything. Awesome job! 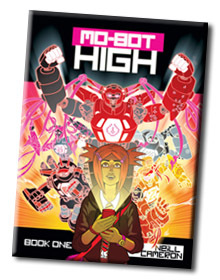 I can only hope that when I get to Season 4 of Mo-bot High, my version is half as exciting as Max's. How cool is that? 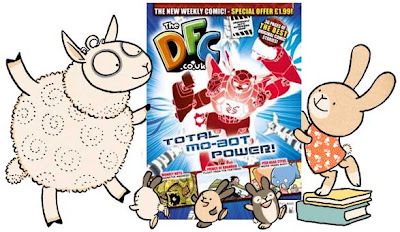 A reminder, courtesy of the wonderful Sarah McIntyre of Vern & Lettuce fame, that issue 26 of The DFC goes on sale in Tescos all across the land from today! A snip at £1.99 - and it's a pretty cracking issue, too. A great new story starts - The Mighty M by Laura Howell, there's a new Monkey Nuts adventure by the always-jaw-dropping Etherington Brothers, and... look, it's just pretty great, alright? Anyway, it turns out it's a nice way to mark six months of The DFC! Good lord, has it been that long already? 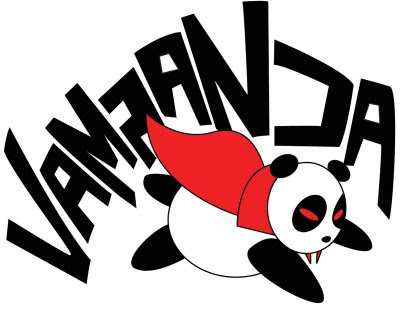 Over on the Forbidden Planet blog they're running a series of posts to mark the occasion, which is nice. While I'm linking, apparently Sarah and Jim Medway just happened to bump into Matt Groening the other day, and Jim gave him a copy of the DFC. Good work, dudes! I think if I had been there I would just have stammered, mumbled incoherently about how I, y'know, really like futurama and stuff, and generally embarrassed myself and everyone in the room. Good job I wasn't there, really. 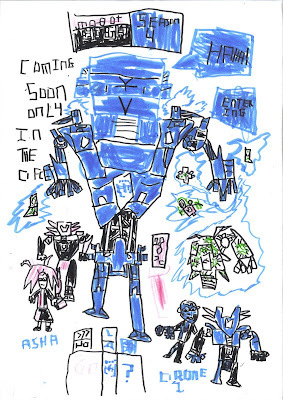 Please excuse all the linkage and general uncharacteristic air of enthusiasm, I just received a totally awesome bit of mo-bot fan art from a kid that has made my week, if not year. Our trip to Japan starts as all major journeys in my life apparently must; with a brutal hangover. We pitch up at Heathrow with a generous 4 hours or so before our flight, planning to enjoy a leisurely airport experience. A key part of my plan for the trip is to buy a couple of smart shirts in one of the many designer shops which I usually wander past obliviously but seem to have a vague feeling can be found in airports. 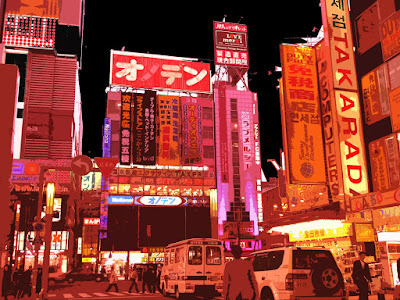 The one time I have been to Japan previously was a few years ago, as a stopover on the way home from a long trip backpacking in Australia. I remember to this day the sense of shame I felt wandering around Tokyo in my dishevelled unkempt smelly-t-shirted state, surrounded by its uniformly stylish and impeccably smart residents. I am determined this time to give a better account of myself, looking snappy and stylish in the extreme. Or failing that, just not like an alcoholic vagrant. Unfortunately for this noble plan, every single person in Britain seems to have decided that today is the day to leave the country, as the entire airport is made up of one giant, unmoving series of incredibly long queues. Despite our early start we manage to STILL end up running for the plane like demented wildebeest, with not a second to spare for refreshments or ablutions, let alone such unnecessary luxuries as shirt-puchasing. History seems doomed to repeat itself, and once again I am an ambassador of scruffiness for the people of Britain. Bleary eyed and quite impossibly tired, we make our way from Narita into central Tokyo, having first picked up our pleasingly shiny Japan Rail Passes (www.japanrailpass.net). These really are a fantastic offer, allowing you unlimited travel around Japan for a 7 or 14-day period at massively discounted rates. A word of warning to the disorganised: JR passes cannot actually be purchased within Japan; you have to book them before your trip and then pick them up from a JR office when you arrive. This is a perfectly simple procedure but still marks the first of about 1,000 occasions during these two weeks when I am enormously thankful for having a wife who is resourceful and clever and can actually, you know, organise stuff. Tokyo itself is muggy, overcast, and generally doing a very good expression of our own sleep-deprived, heavy-legged state. Everything seems grey and slightly fuzzy. We drag our suddenly ludicrously heavy bags from Tokyo station to the edge of the imperial palace; maybe half a kilometre but it feels like a hundred. We swiftly give up on the whole ‘tourist’ enterprise and collapse into a café next to the station that seems to be the Japanese version of a greasy spoon (‘greasy chopstick’?). They bring us Tempura and big frosty mugs of beer. And just like that, everything is better. Kicking back in an underground-shopping-mall-Irish-theme-bar in Roppongi Hills with huge great flagons of Asahi Black, officially the Greatest Beer In The World. Dodging hilariously drunken salarymen on the subway home. The levels of public drunkenness are a bit of a surprise in a country that has such a reputation for being orderly and well behaved – businessmen and gangs of young women roam the streets in absolutely s#!tfaced condition, singing and roaring and making regular, spectacular whole-body nosedives towards the nearest pavement or train platform. However, despite the superhuman levels of inebriation on display, there’s none of the atmosphere of chaos or violence that all too often accompanies such scenes back home. The whole thing just seems quite charming , and hugely entertaining. Drunken salarymen, we salute you! Kampei! Getting out of Tokyo proves a little complicated, as we manage to get lost on the Tokyo subway system during rush hour. This is not an experience I would recommend, unless you are particularly keen to discover how small a space the human body can be compressed into without actually popping. Which I don’t imagine you are. After a couple of wrong turns we get back onto the correct line and escape onto a roomy, air-conditioned Shinkansen bound for Nikko. Nikko itself is a small mountain town with an alpine feel, a couple of hours journey from Tokyo. A 40-minute walk up the hill from the train station brings you to a massive, sprawling complex of temples, shrines and world-heritage-listed goodness, culminating in the burial place of Tokugawa Ieyasu: first Shogun, father of modern Japan, and all-round helluva guy. 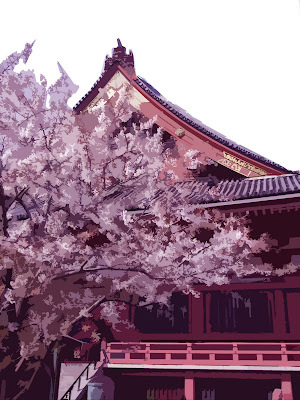 The shrine that has been built to house his remains does justice to his near-deified status in Japan. Huge, impossibly ornate and covered with more gold than is strictly tasteful, it is a genuinely awe-inspiring place, not least because as we walk up between towering cedar trees to the enormous stone Tori gate, I get a little shiver of excitement from pretending that I am actually in the old N64 game‘Mystical Ninja Goemon’, and trying to spot ninjas hiding behind the trees. 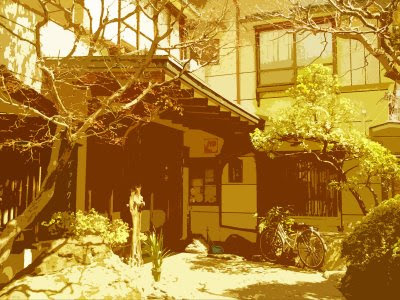 Back down in the town, we stop into a tiny café, the walls of which are literally covered with letters of recommendation from happy customers from all over Japan and the world. A small boy looks up from his Nintendo DS long enough to draw quick portraits of us both on his ‘hello kitty’ sketchpad, which he then presents to us with an endearingly solemn demeanour. I return the favour by drawing the kid’s portrait, which is then plastered on the wall in due course by his gratifyingly delighted parent. It is a wonderful little place with fantastically friendly service, it serves a mean plate of meatballs-on-a-stick, and if I was any kind of an actual professional travel writer I would have remembered to write its name down rather than just wandering away in a pleasantly tipsy haze. But then, if I was any kind of an actual professional travel writer, I would have bothered to write down the correct Japanese name for the delicious and lovingly-prepared meal I refer to here as meatballs-on-a-stick. she loves beer and drinks it every day. This last fact is imparted with a massive grin and an unmistakeable air of pride. Kyoto establishes itself fairly quickly as my new favourite place in the world; after a couple of hours of wandering I am already mentally looking for a house to buy and negotiating the complexities of the Japanese visa system. It simply feels like home, in a way that makes little sense but is wonderful nonetheless. Wandering up a street in one of Kyotos’s old geisha districts by night gives us our quintessential Japan moment. Lanterns glow amongst the dark, old wooden buildings on one side as cherry blossom drifts down into the canal and we gaze up to neon lights and karaoke bars on the opposite bank. I miss Hot Octopus Balls. I totally need to get this on a baby-sized t-shirt for Logan. I don't think I ever got round to posting this here - a Mo-Bot High sketch I drew for a charity auction in aid of the Samaritans organised by the marvellous Dave Shelton, creator of the equally marvellous Good Dog, Bad Dog. Drawn old-school style using pen and paper rather than wacom because, um, I happened to have locked myself out of the house that afternoon. DFC on sale in Tescos next week! Hey! 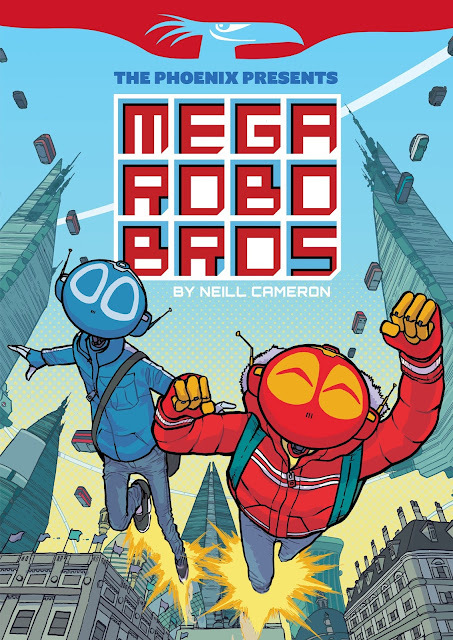 Have you ever thought to yourself "this DFC comic Neill keeps banging on about sounds totally awesome but I wish I was able to just pick up a copy in the shops and check it out and stuff before subscribing?" Of course you have! (Unless you subscribe already. In which case you already know about the whole "totally awesome" thing.) Well, now is your chance as next week - for one week only, from 26th November to 2nd December as a kinda marketing test thing - The DFC will be on the shelves in Tescos. Here is what to look for! 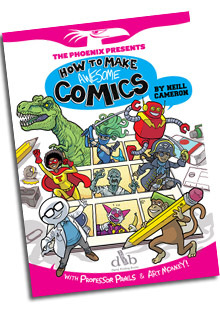 There you go, you can pick up a super nifty comic while getting the donuts in. Good times! I have to draw model sheets for myself otherwise I tend to get very confused and when I look back at a strip, realise that everyone's outfits have been changing from panel to panel. 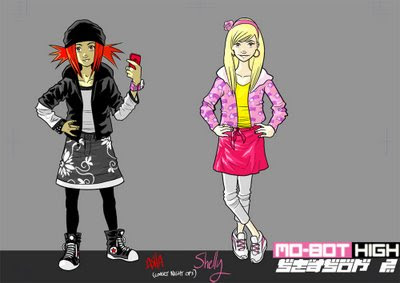 Here is the model sheet for the look Asha and Shelly have been rocking in the last few episodes of Mo-Bot High. I'm getting quite into drawing patterns. Hey, you know what? Go read the DFC!